Kipor GC2 generator cover fits a 2.0 kilowatt(2000W) generator. This cover is used for putting the generator in storage. Protects the generator from scratches, dirt, water and grease. Made of thick, tough, vinyl coated polyester. There is a convenient pocket to hold all of the generator accessories. Kipor GC6 generator cover fits a 6.0 kilowatt generator. This cover is used for putting the generator in storage. Protects the generator from scratches, dirt, water and grease. Made of thick, tough, vinyl coated polyester. There is a convenient pocket to hold all of the generator accessories. Westinghouse 25 ft. 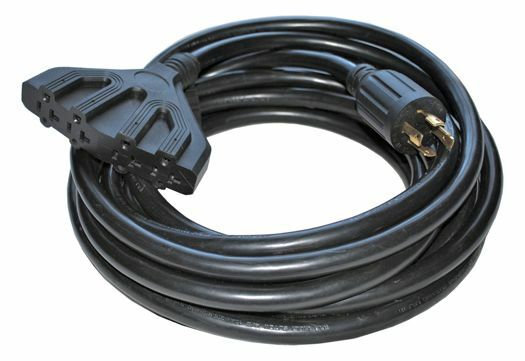 Generator Power Cord is rated 4.3 out of 5 by 11. Rated 1 out of 5 by Fisherman from Too stiff and outlet covers broke off. Too stiff and outlet covers broke off. Rated 5 out of 5 by Bill from Purchased this cord to go with our generator for power outages. It'll work out great for fans or... Purchased this cord to go with our generator for power outages. It'll work out great for fans or other plug in small appliances. Rated 5 out of 5 by Bob from This cord is heavy duty and well made. It works great and seems quite tough. Well worth the money... This cord is heavy duty and well made. It works great and seems quite tough. Well worth the money for me.